Dance the night away and keep your bag with you. Cross over body style frees you up for moving about. 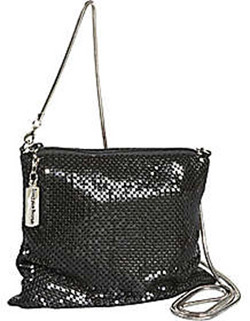 Beautiful bag in black mesh and zip closure with Whiting and Davis signature pull.